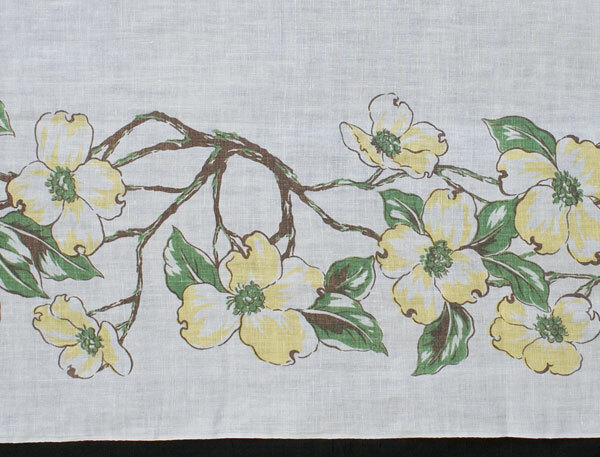 This charming linen tablecloth is perfect for adding a touch of nostalgia to your decor. 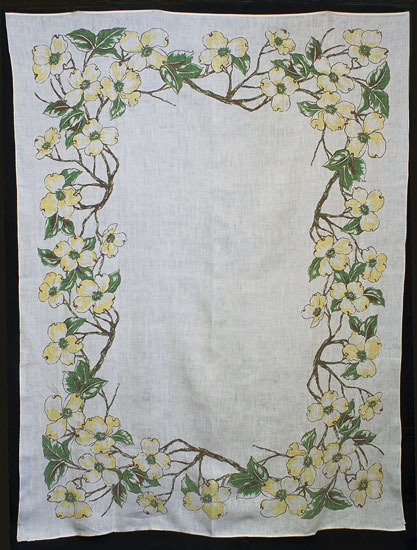 Use it for a casual summer luncheon on your porch or in your kitchen. 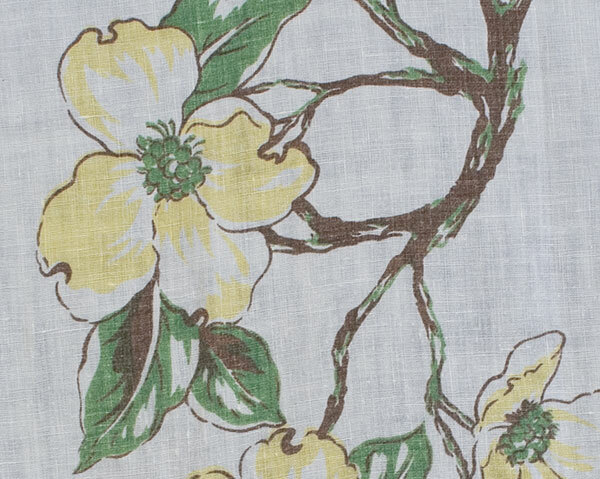 The white linen cloth is printed with branches of dogwood in pale yellows and greens. The condition is gently used. The cloth is clean and ready to use. It measures 53" by 68".